The Bega 77380 spotlight is an exterior light that convinces with an unobtrusive look – gimmicky frills are not a part of its style. The 77380 has a tasteful "graphite" surface finish which allows it to unobtrusively blend with the environment. This garden light from Bega also scores points with the materials used. It is made using die-cast aluminium and stainless steel, the round louvre is made of anodised aluminium and the earth spike is made of glass fibre reinforced polyamide. The cylindric insert provides an optimal glare-control to the sides. The head of the flood light may be swiveled upwards and downwards. This spotlight is characterised by a clear and functional design. The great strength of the Bega 77380 spotlight with earth spike is the large flexibility. Firstly, this exterior light is suitable for mobile use as the ground spike can be simply put into the ground, as desired. 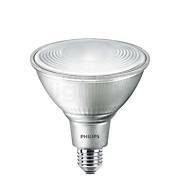 Moreover, this light is always mobile and its area of application may always be changed. Furthermore, this spotlight can be pivoted about its horizontal axis in an area between +70°/-20°. With its target-oriented light, the Bega 77380 spotlight is able to efficiently highlight the selected area. When a particular object is illuminated the contours of the respective object are appealingly emphasised. Moreover, this exterior light is prepared for adverse weather conditions: In accordance with protection type IP 55, it is dust-proof and protected against water jets from any angle. The 77380 spotlight is supplied ready for connection with a 5 m supply line and a power plug. No illuminant is included in the scope of supply of this spotlight. The E27 socket can be equipped with LED lamps as well as halogen lamps and energy-saving lamps. Additionally, you may choose between illuminants with a narrow and a wide beam angle. 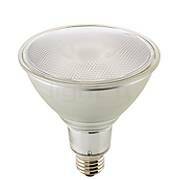 Please note that the Bega 77380 spotlight is not suitable for use with dichroic reflector lamps PAR-CB 38 cool. Tell other customers and us about your experiences with the 77380 - Spotlight with Ground Spike ! The 77380 spotlight including earth spike is suitable for a variety of lighting tasks. It may, for instance, be used to excellently highlight a tree. However, it is also suitable to effectively illuminate other plants such as a flower bed, a bush, a hedge or a shrub with focused or wide-area lighting (depending on the type of illuminant). The special thing about this is that the user may realise almost any idea since the earth spike included in the scope of supply allows you to quickly and conveniently change the location of the light fixture – according to the motto: Spot on for your very own light show! The Bega 77380 is also ideally suited for highlighting a building’s architecture, for instance, by directing its light onto the facade in a target-oriented manner. 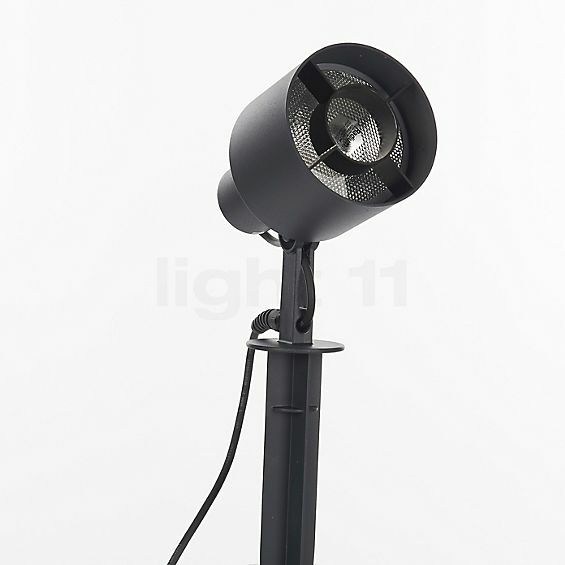 This floor lamp is a plus in terms of safety when it is installed in the area of stairs. Tripping hazards are then exposed by the 77380 spotlight which also means that the risk of tripping is reduced. 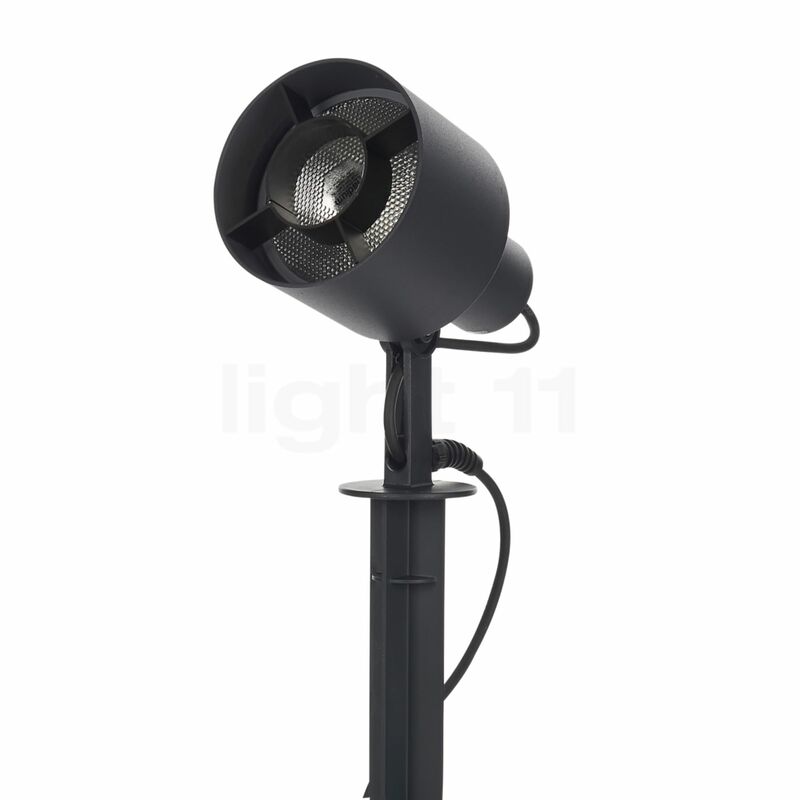 Further areas of application of these spotlights are terraces, balconies or driveways where this lighting assistant provides for orientation that also ensures safety. The Bega 77380 spotlight also cuts a great figure on a path or a square where it represents a bright highlight or limitation.